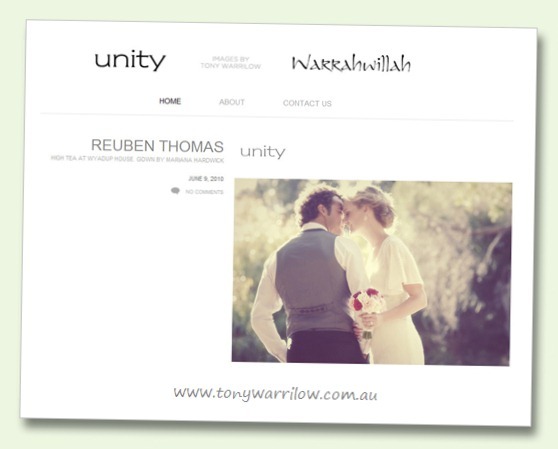 Tony Warrilow has a formidable reputation as one of Australia’s top wedding photographers. After more than ten years at Society Photography in Mosman, New South Wales, he has made a move to Margaret River in Western Australia and launched a new studio, Unity. Tony’s new site is just a beginning – a blog and contact details – with galleries and more information to come later. The design is clean and minimalist to allow Tony’s work to shine. We look forward to working with him to expand on his site in the future.